Similar to anxiety, stress (or stressor) can have a positive effect, in that it can help to conquer problems. 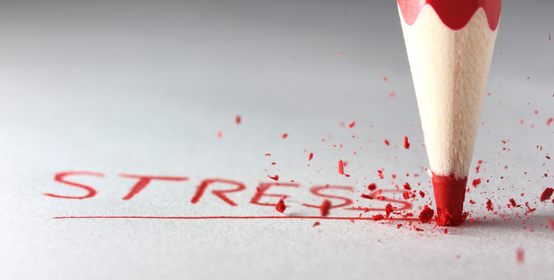 Stress in small doses is common and part of all of our lives. However, if stress is prolonged, it can cause health, personal, relationship and career problems. Physical symptoms may include broken sleep, headaches, rapid breathing, and poor eating. Emotional symptoms may include anxiety, fear, low self-esteem, anger, feeling guilty, feeling lost or alone. Psychological symptoms may include confused thinking, difficulty making decisions or concentrating, slow thinking and memory lapses. Beyond the stressors themselves, other factors can contribute to feelings of stress such as expectations on self and others, perception of the event or situation, unrealistic beliefs, and negative self-talk. The most common life events that cause stress are below. If you score over 160, it is an indication that you are experiencing a high level of stress.